Drones are spectacular concerning technical features and possibilities they offer. The flying gadgets are indeed impressive and open new doors to aerial photography amateurs. However, if you instead prefer shooting videos from unique angles, you need to find and choose the best drone GoPro cameras. If you’re done practicing with drone simulators and indoor quadcopters, it’s time to experience a real drone. Making a choice might come difficult when faced with all those technical specs. This guide aims to help you pick the best drone for GoPro you can have and use in the long run. It may sound redundant, but knowing what you want narrows down your products list. You may want to purchase a compact drone, which folds easily and fits inside a small case. However, you may also want to open a video shooting business and work with professional drones. Knowing what you want saves you time as it determines what you’re looking for. Your wish list should include products that have passed tests and reviews. According to Today Best Drone, customers and experts agree that the best drone for GoPro is their own Karma model which you can read about here. The product is lightweight, compact, easy to operate and comes with a stabilizer for shake-free videos and a follow me feature. Consulting reviews and customer opinions bring you additional information on products you might have failed to notice otherwise. The first thing you might notice when looking for a drone is that all such products include acronyms. These will help you determine what your drone needs before you can operate it. RTF = Ready-to-Fly. Most of the drones are RTF, which means you only need to charge the battery, install the propellers or connect the control to the drone before flying the gadget. BNF = Bind-and-Fly. You will mostly find this feature among indoor quadcopters. BNF products come without a remote, or the controller is sold separately. If you already have one or the manufacturer doesn’t sell controllers, you might find it challenging to purchase compatible accessories. 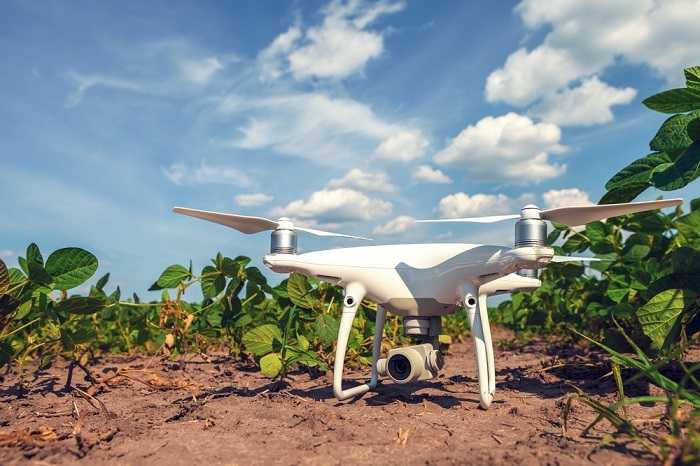 Aside from frequency or communication channel, the controller and drone must use the same manufacture protocol to talk to each other. ARF = Almost-Ready-to-Fly. Such drones don’t come with a receiver or transmitter. You need to assemble them or even install the motor. ARF products are also known as kits which differ between producers. If an ARF product sounds tempting, your next step should be to read the instructions to see what the package contains carefully. Here are some of the features that ensure your drone’s functionality and expand its life. Brushless motors are more expensive than regular ones but quieter. They also possess a longer lifespan, so you don’t need to purchase many back-ups. Integrated GPS is mostly available for premium models. They notify the machine about its status on a map and helps it find a way back home – if it also has a return-to-home (RTH) option. Such drones navigate easier and are more stable when shooting. Headless mode helps the drone remain in one direction and then move according to your body position, instead of where the controller is pointing. Follow-me mode helps the drone track you if you move. It records your activity and follows your paths while maintaining a preset distance. Obstacle avoidance is a premium feature that protects your drone from crashing into objects. However, not all drones have all the elements to make such an option reliable. Last but not least, battery life is essential, as it helps you determine how many additional batteries you have to grab before shooting a video. The average lifespan of a battery is of 20 minutes, while the charging time is around 30 minutes. If your desired drone has a more substantial charging time, consider taking some safety measures such as always carrying a few extra batteries. There hasn’t been a time when purchasing a gadget only meant buying a device. There always are some accessories, tools, and kits you might need to enjoy your products longer. In the drone scenario, some of these are free – such as the smartphone apps you might use for control purposes. Aside from operating your drone, you will need transportation. Consider purchasing a case from the drone’s manufacturer or finding one on the local market. The basic toolkit you need while away only consisting of a screwdriver and duct tape, in case one of the propellers gets damaged. Rechargeable batteries also require an adapter to plug into an outlet. Many drones come with them. However, you will also need additional sets of rechargeable or regular batteries. Extra-propellers are mandatory in case one of them gets damaged during the flight. Many drones include an extra set of propellers. After a while, you will also need to purchase some sets. If you already owned a GoPro, you just saved the money to purchase one or return a new drone, if its video quality isn’t satisfactory. However, the road to flying the drone isn’t finished yet. Once you’ve received the product, you will need to register it with air control authorities. Also, you need a certificate from the FFA (Federal Aviation Administration) that states that you can fly a drone. Before choosing your destination, consult with local regulations regarding restrictions. Typically, you are not allowed to operate drones near airports or public spaces. Also, you need the owner’s explicit approval if you want to shoot videos on private properties. Some laws also include other restrictions. Out of social convenience, refrain from using the drone near groups of people and respect their privacy. Make sure you practice before operating the drone in an unknown setting. Once you feel you’re skilled enough, get your drone ready to fly! Scan the environment you’ve chosen and seen why you are operating the best drone for GoPro cameras!